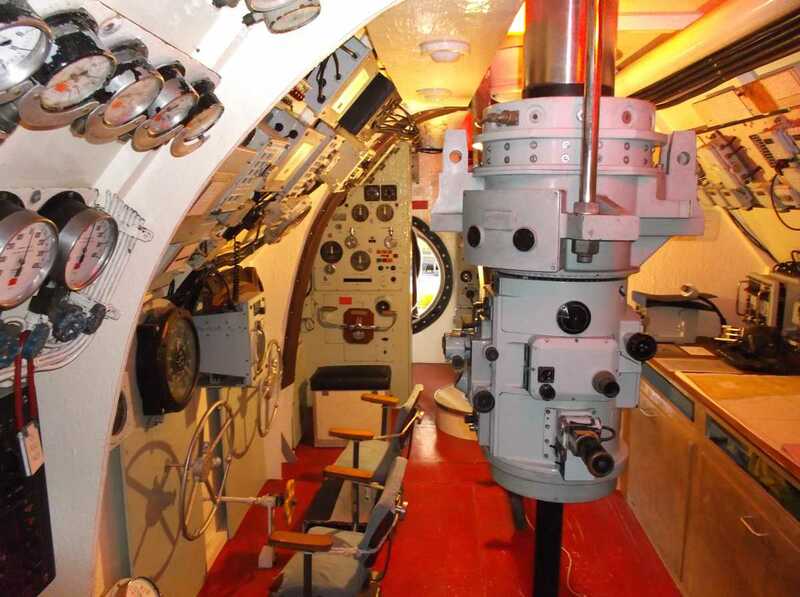 Portsmouth UK - HMS Alliance (1947) at the Submarine Museum, Gosport, Hampshire. Alliance is about 1,600 tonnes dived, so only 5% larger than HMS Triumph. In reality, Alliance and her Amphion class sisters were basically T-boats with a slightly changed arrangement of torpedo tubes, slightly larger fuel tanks and better aircon. 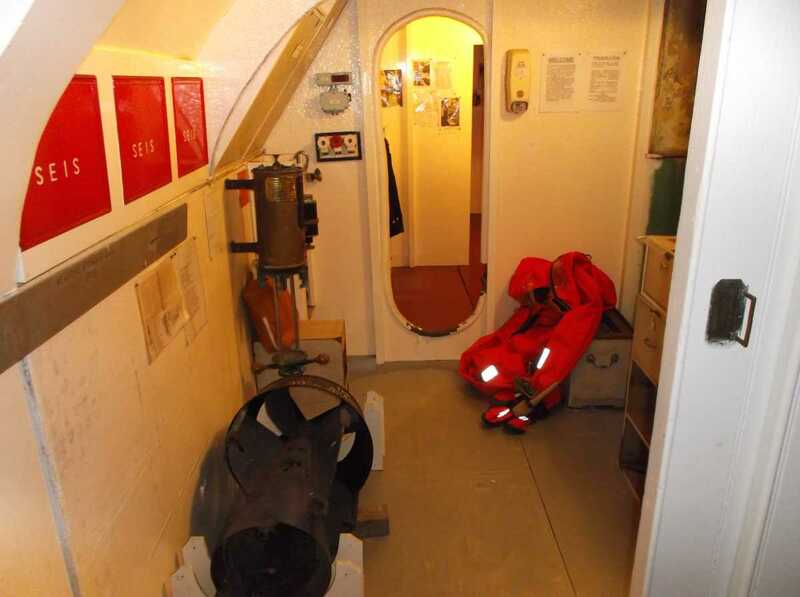 One way of making room for these was to put the CO's cabin inside the fin, on its own small deck above the control room. This added about a quarter of her extra size. 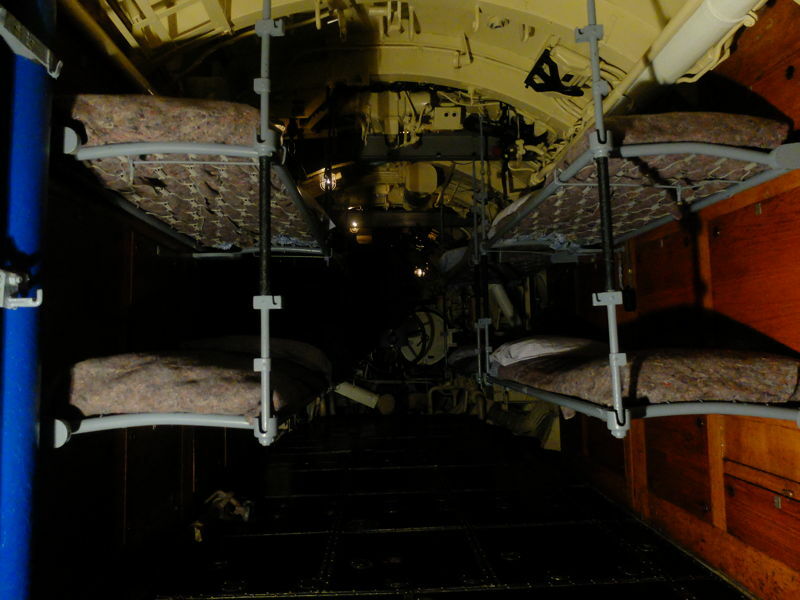 Another was the removal of the two escape chambers (fore and aft) which experience showed were not much practical use (there is not a single record of anyone actually using one to survice a sinking). Removing these gave about fifteen feet of useable space. The third change was to round out the pressure hull at her bow and stern (Triumph's was slightly oval). This added another 20 tonnes of displacement, but also increased her maximum diving depth by a few hundred feet as a round hull can withstand more pressure than an ovoid hull. Apart from these small changes, Alliance is basically identical to a "T", and a visit to her gives an almost perfect idea of what life in Triumph was like. Alliance seen from aft. Her hull is almost identical to Triumph, though the fin is larger and more streamlined. She has also had her gun removed. Alliance's interior is almost identical to Triumph. 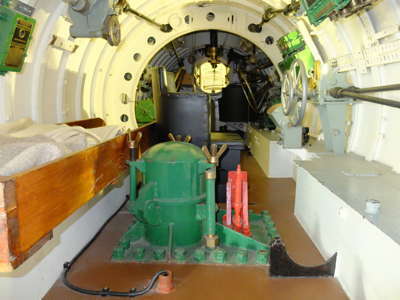 This is the torpedo stowage compartment, with a Folboat stowed in one of the torpedo racks. The Junior Rates mess. Leather has given way to fabric seat and bunk coverings. 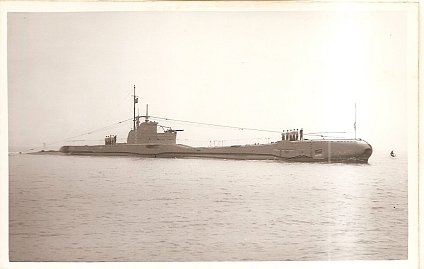 Alliance carried out a record dived snort transit after the war, crossing the Atlantic in 30 days. She shipped a movie projector for the first time, to combat boredom. 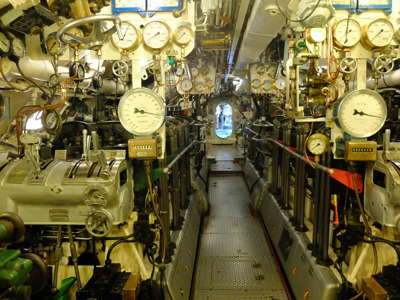 Alliance has two JR messes - the stokers use to mess abaft the machinery space, but they were moved forrard next to the Seamen's mess in order to get their mess away from the heat of the main engines, and therefore cooler in tropical waters. 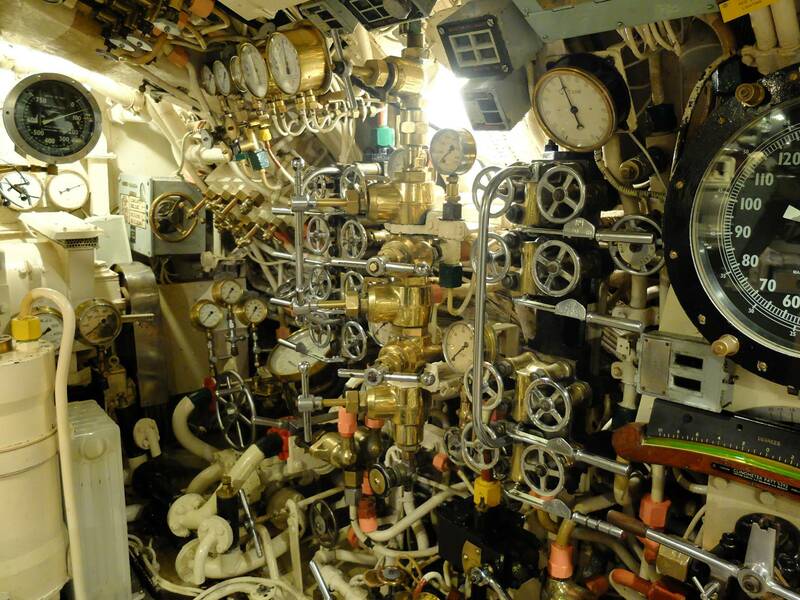 This one is more familiar as a T-boat mess. 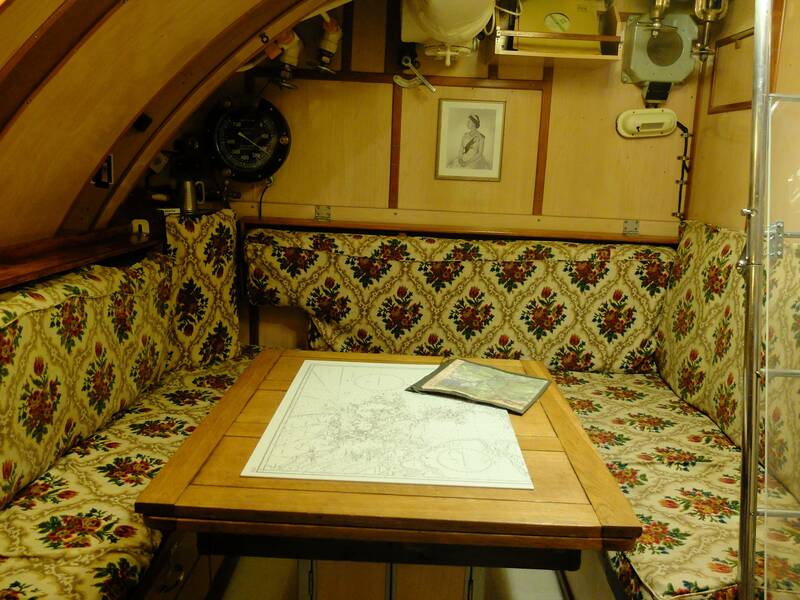 Alliance's wardroom. Compare this with the Tribune photos. The space is the same but again leather has given way to chintz. The ladder just visible on the right hand side of the picture is the gun tower ladder. 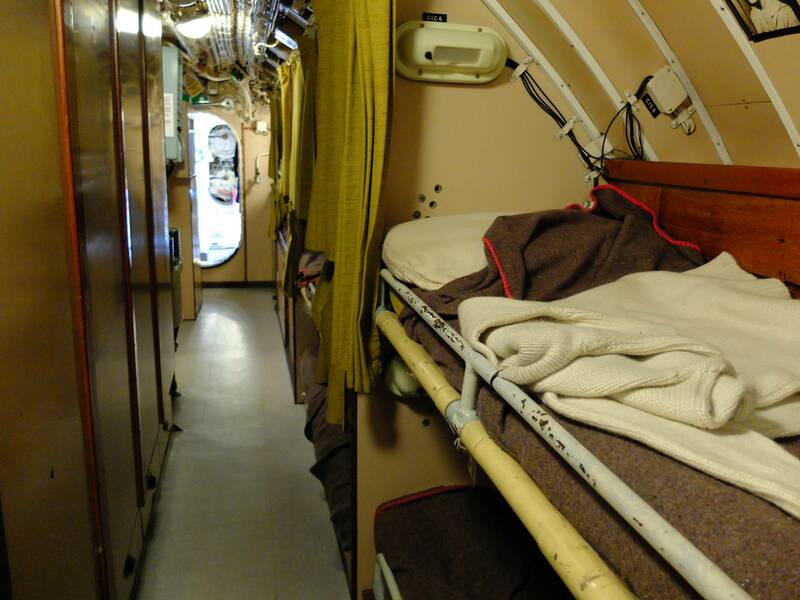 Looking forward on the starboard side, crew bunks line the passage, mess bulkheads are on the left. The TSC is through the door, with the aft tube doors just visible in the distance. The control room looking forward. 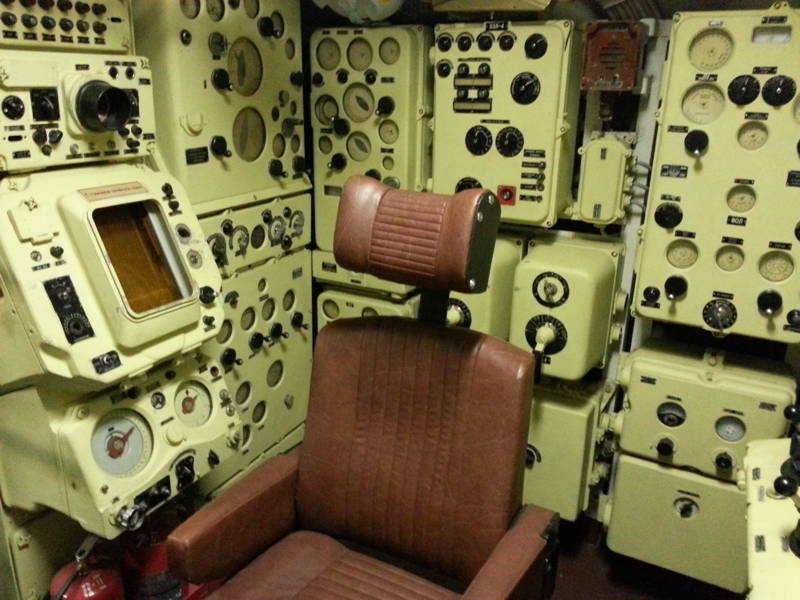 The helm position is on the left, with the gyro tape in its horizontal housing. 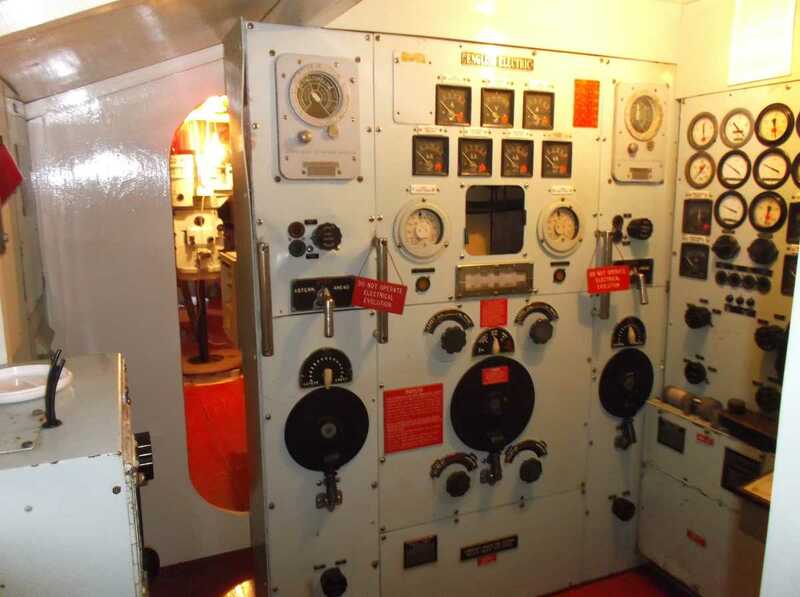 Aft of the helm are the two planes controls (for and aft). Triumph's wheels have been replaced by handlebars - probably easier to keep visual track of where the planes are when the lights go out. Aft of the planes controls, the blowing panel. 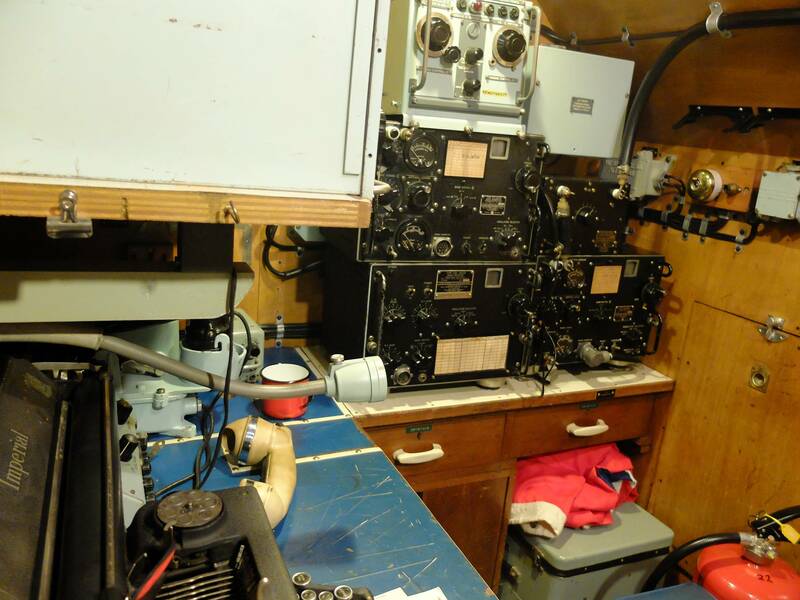 Aft of the control room the Signal Comms Office connected the boat to the outside world. 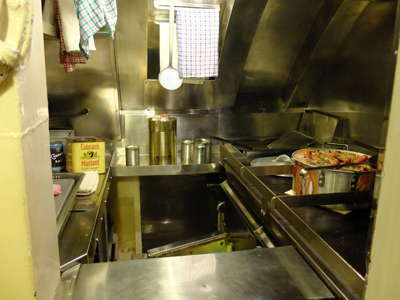 Aft again is the galley. Two chefs fed 60 men three times a day from here. 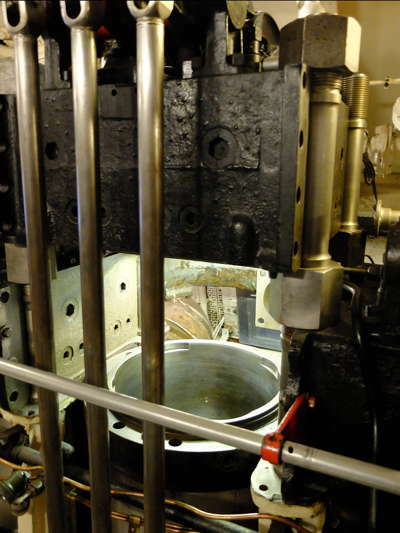 The aft half of the boat is taken up by machinery spaces and the stokers' mess. 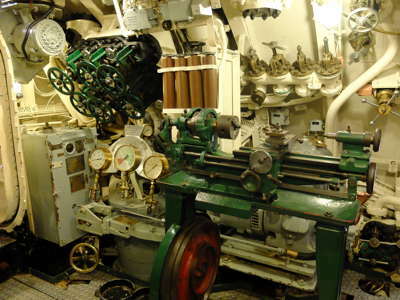 At the forrard end of the engine room is the watchkeepers' station, in which sits a lathe. Artificers (highly trained mechanical and electrical engineers) were capable of making all of the equipment under their care from raw metal, and during the war manufactured essential replacement parts on a lathe like this one. 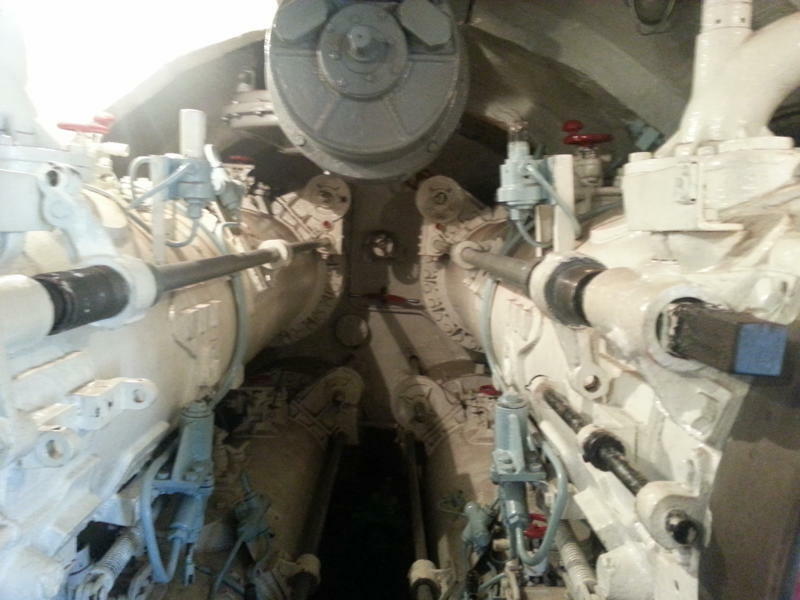 The two main diesel engines. These are at root identical to Triumph's, though with slightly more sophisticated starting mechanisms using compressed air rather than a shotgun cartridge. The deck plates can be lifted to give access to the crank cases. One of Alliance's cylinders with the head removed. 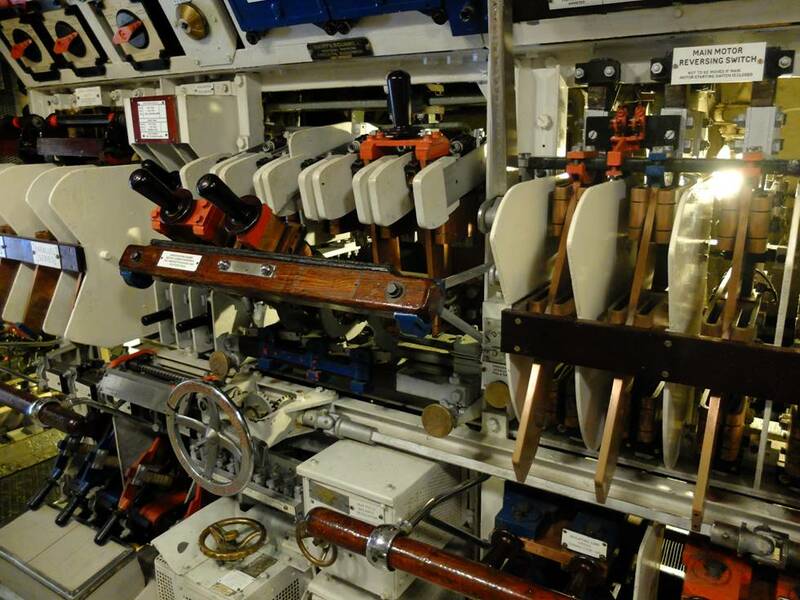 At the after end of the machinery space are the two switching panels for controlling current to the electric motors (the motors are below these deck plates). Current was adjusted by setting the batteries to run either in series (grouped down) or in parallel (grouped up). "Down" was for endurance and "up" was for speed. In addition, the large round wheel is a rheostat to make fine adjustments to speed. 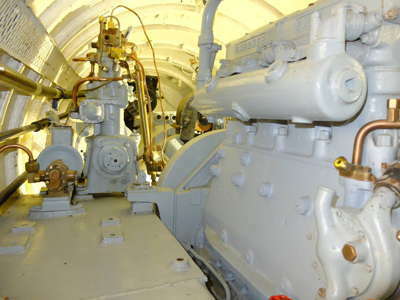 Alliance had no reversing gearbox for her main engines, so maneouvering in harbour was carried out on electric motors. In extemis, Alliance's batteries could be grouped to provide 800 volts for maximum dived speed, but only for a matter of minutes before flattening the batteries. 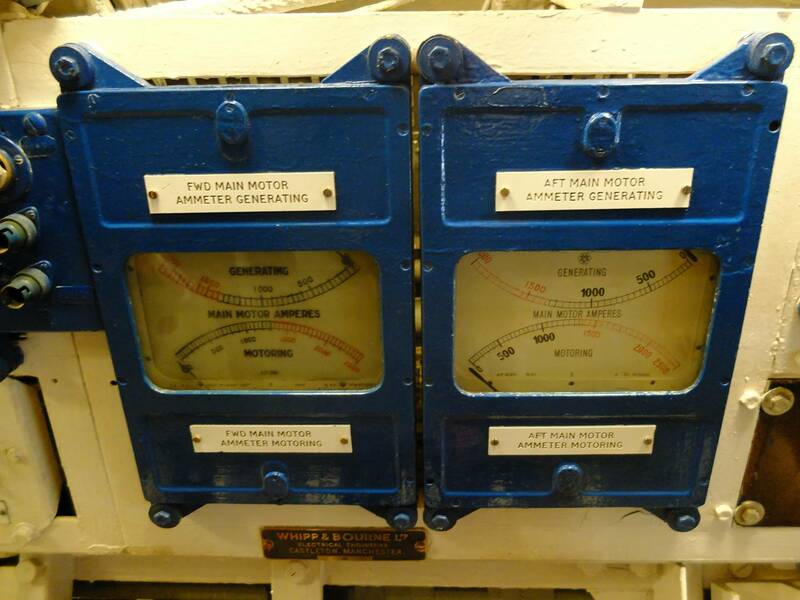 As these ammeters show, the bus bars could carry up to about 1,500 amps. Each main engine was theoretically capable of producing more like 4,000 amps, but that rate of current would have blown the motor windings, the wiring and the batteries, hence the red-lining at about 1,400 amps. Alliance had ample spare power for a combination of propulsion and charging. 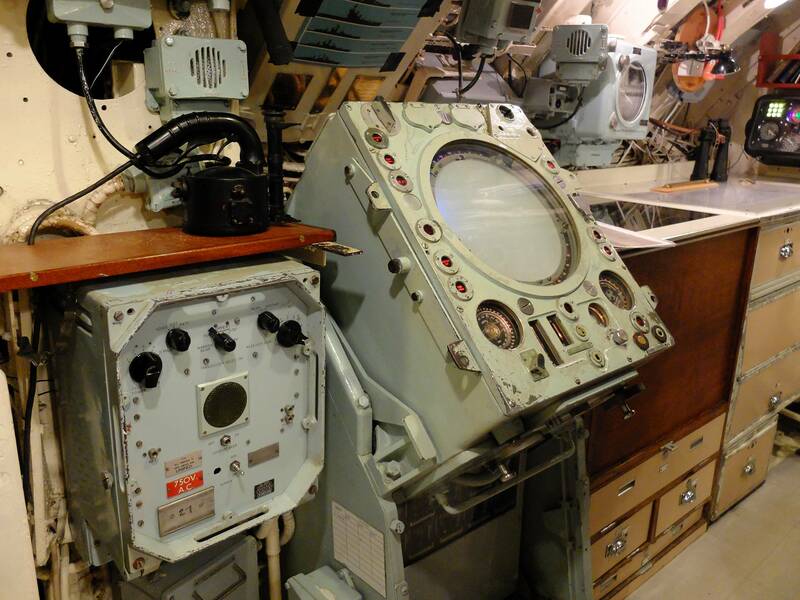 Much of Alliance's internal equipment and layout is very similar to a T-boat, and a visit to her will give a very good impression of how Triumph felt to her people. The X-craft were built to attack Tirpitz in Altenfjord (Norway). Xs carried two 4-tonne charges bolted one each side (quite visible in the this picture). The tactic was to dive under the target, unscrew the retaining bolts to drop the charges with timers set, then withdraw. One charge was enough to break a large ship's back if well placed. Too small to deploy unaided, the Xs were towed to their deployment position behind larger submarines. With almost no reserve of buoyancy and no freeboard this was deeply unpleasant in the North Sea, and one X broke her tow and sank en route. 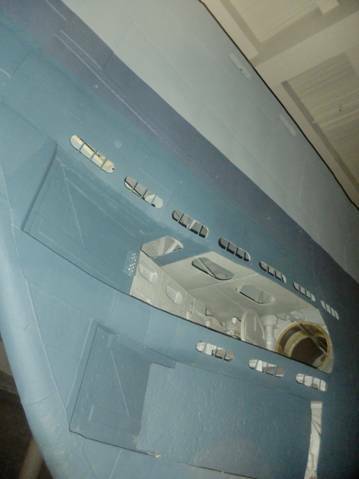 X24 has been cut in half for display at the SM Museum. Here is her interior looking forward. She has one planesman/helmsman position, on the right of the picture, with rod and gear linkages to her planes and rudder. 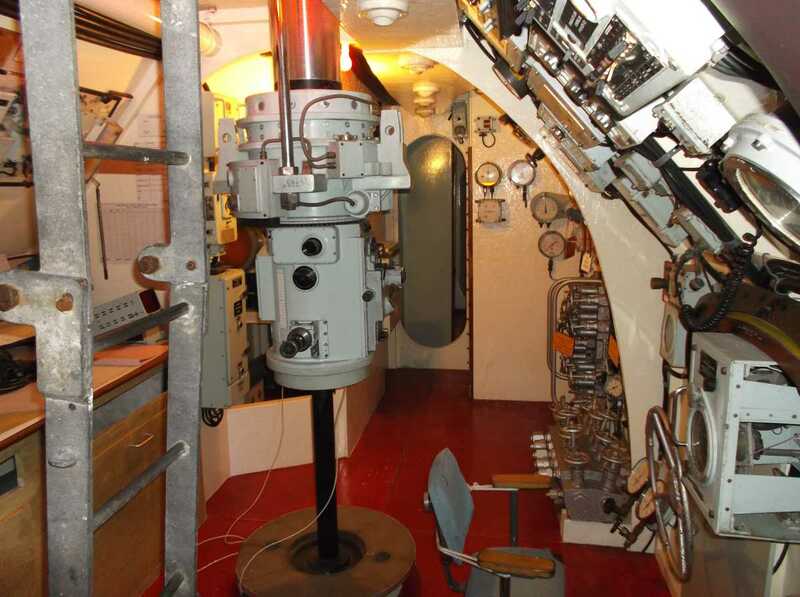 The small periscope is visible above the planesman's seat, and on either side can be seen the large handles for withdrawing the locking screws for her charges. 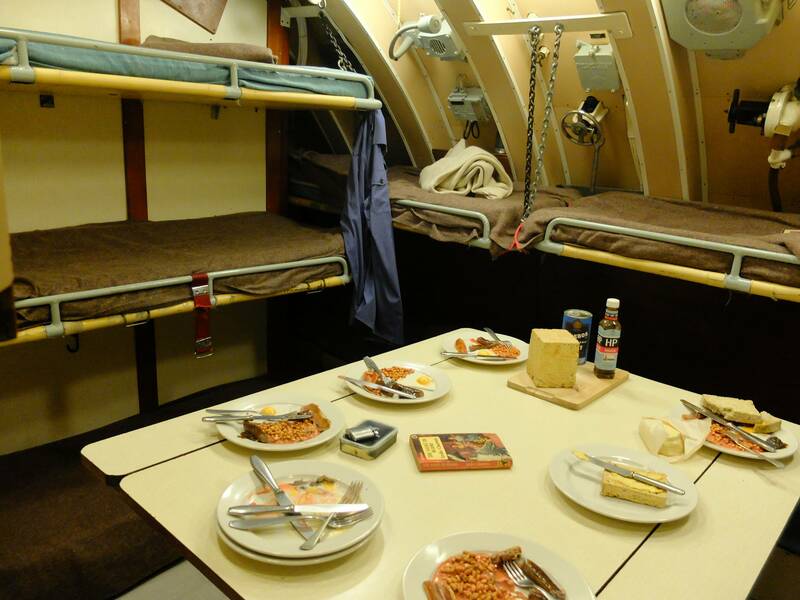 A rudimentary bunk is on the left. Chatham UK - HMS Ocelot (1962) at the Dockyard in Chatham. 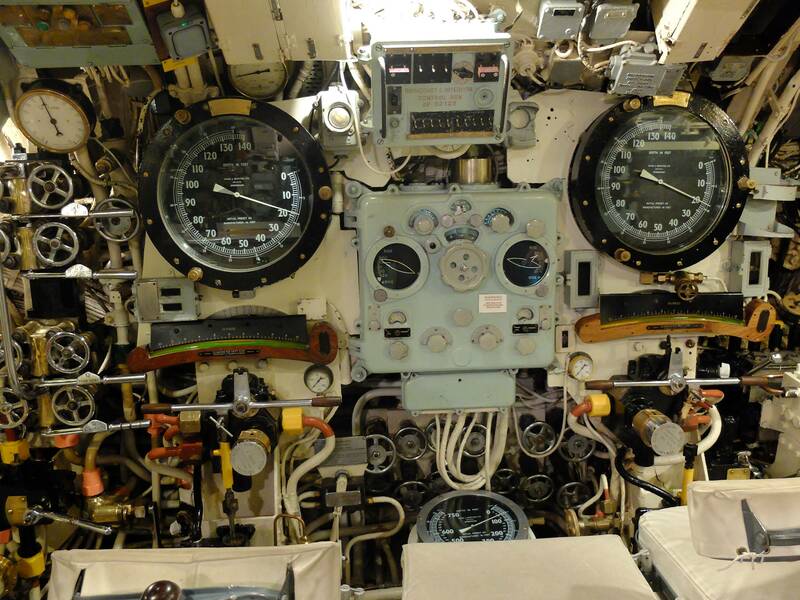 The O-class were the RN's workhorse conventional submarines for 30 years. Ocelot is quite similar to Alliance, and is also very reminiscent of how Triumph would have felt. San Diego CA USA - Russian Foxtrot. The Foxtrot was basically a copy of the last German Uboats. The museum allows a full boat tour, and no internals have been removed. 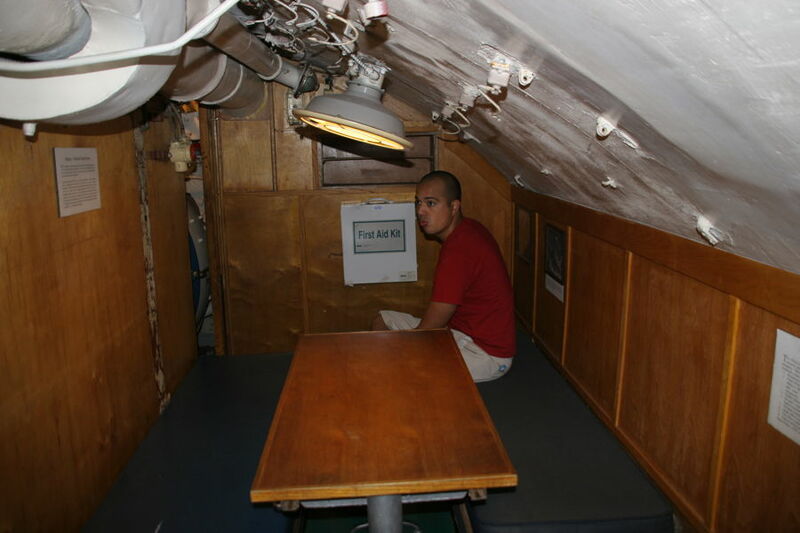 The boat is striking for its lack of clutter, and also for the spartan communist accomodation. 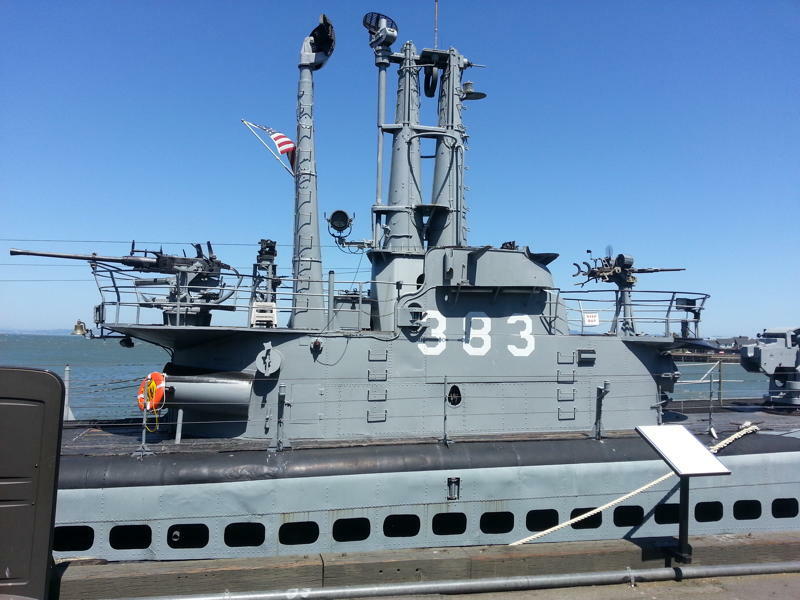 The boat is in the San Diego maritime museum, and is well worth a visit. Across the quay from the Foxtrot is USS Dolphin, a deep diving submarine used for ASW practice. Dolphin is still in commission, but is open to the public. She is interesting for her small size and her extremely thick casing - some inches. Vladivostok, Russia - has an early WW2 boat, up on stocks by the main harbour. 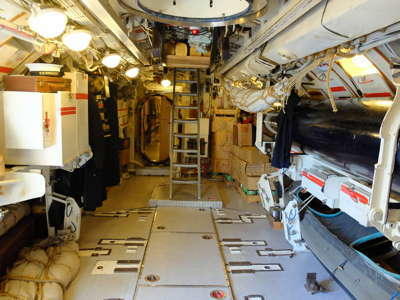 Sadly they have removed most of the internal equipment to make space for a submarine exhibition, but a few parts remain. One cannot go onto the casing or onto the fin. 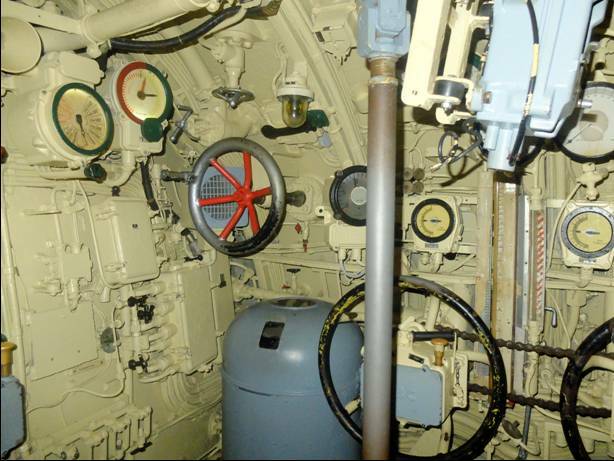 This boat is among the oldest submarines on display around the world. 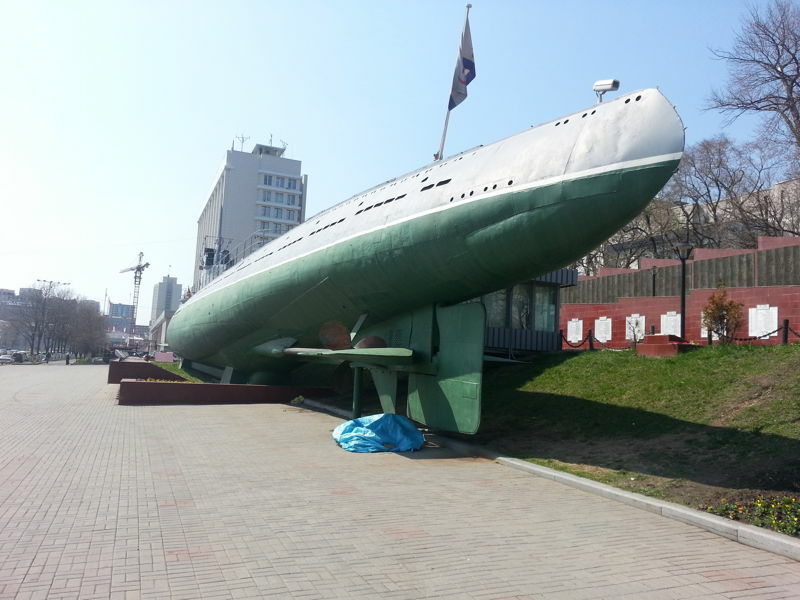 Vladivostok also has a miniature submarine on blocks near this boat, but not open to the public. 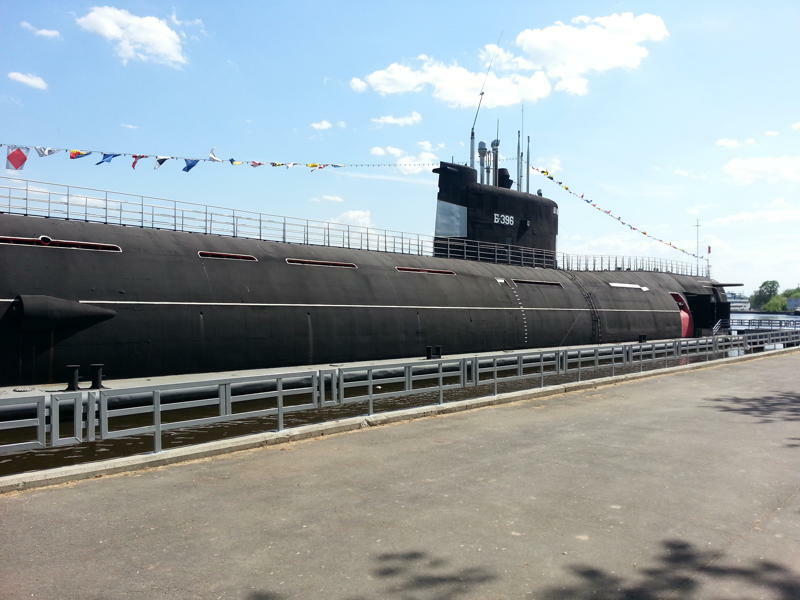 Moscow - Tango class SSK - Moscow's canal basin has a retired Tango open to visitors. The forward half of the boat is untouched. 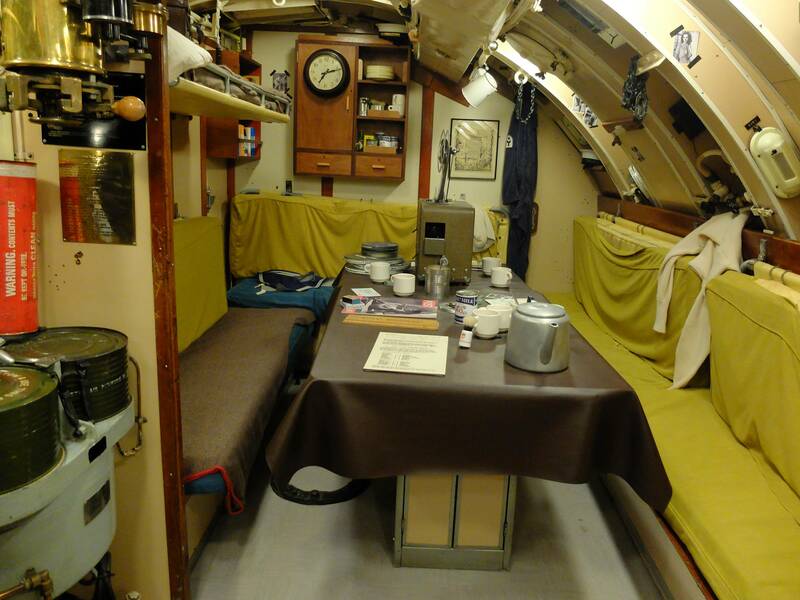 A part of the crew's mess has been stripped and turned into a museum, whose most interesting exhibit is a three metre long cutaway builder's model of a Tango. This is a joy, and shows the framing and tankage in perfect detail. Aft of the museum the machinery spaces are almost intact. Again, there is no access to the casing. Next to the Tango are an assault hovercraft and an Ekranoplan - a surface effect vehicle. Neither are open but both are worth looking at. Portland Oregon US SSK Blueback - The US navy's last diesel electric boat, built in a full teardrop configuration. 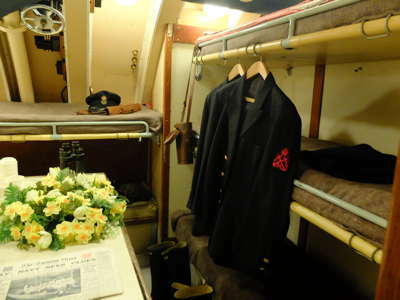 This boat is beautifully presented - all compartments are accessible, and the docents are very informative and helpful. San Francisco - USS Pampanito - A large WW2 diesel electric boat which saw service in the Pacific war, but was mostly a training boat. All compartments are open, and none have been stripped. 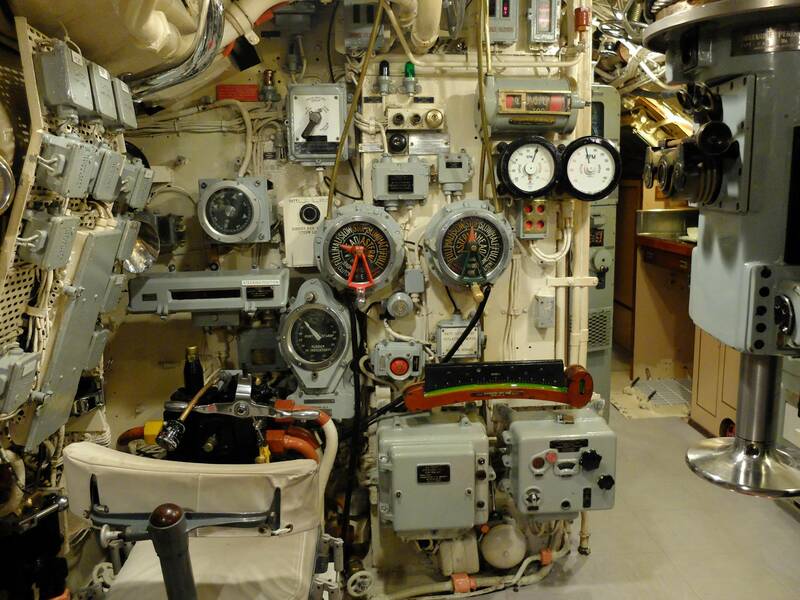 The Docents are ex submariners and are as interesting as the boat. A striking feature is Pampanito's bows, built high and wide for surface running in big Pacific seas. 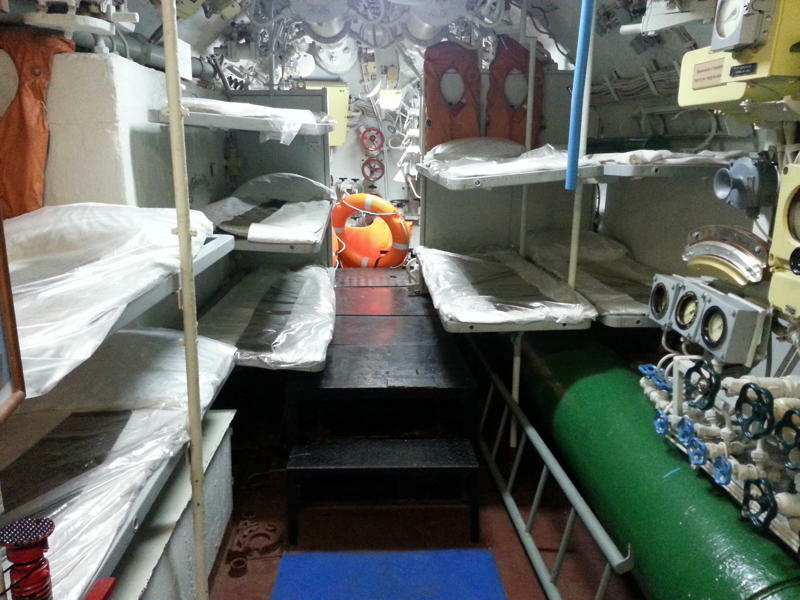 Accomodation is comfortable, for long patrols in hot weather. 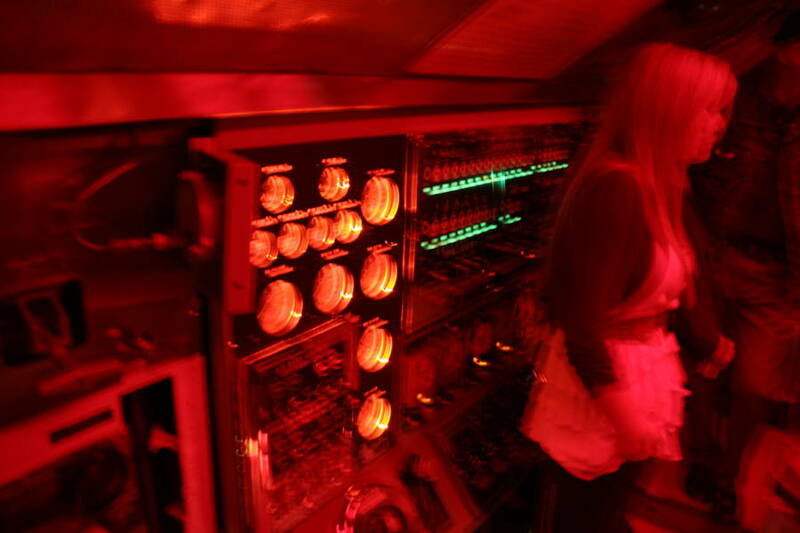 U505 - Chicago Science Museum - The US Navy captured U505 in June 1944 off Africa, and towed her to Bermuda. She is now presented in her own indoor hall at CMSI. 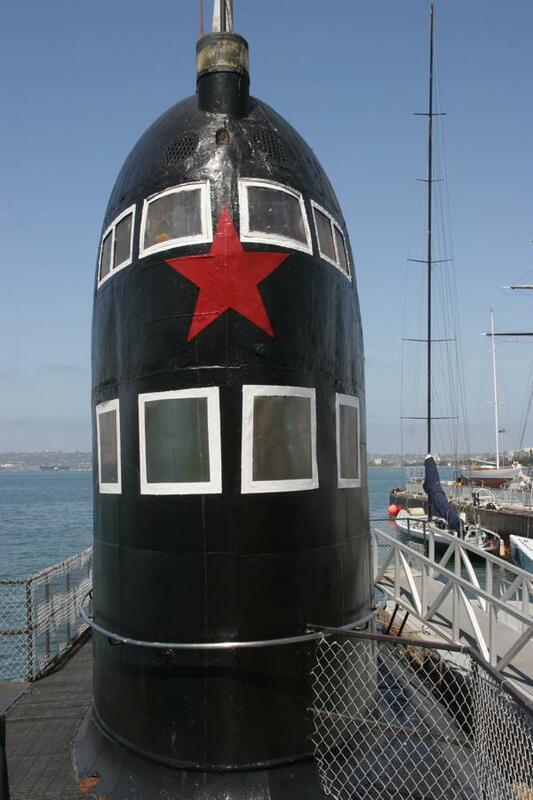 She is very well presented - you can walk around and underneath her, and there is a guided tour that enters forward and exits aft. 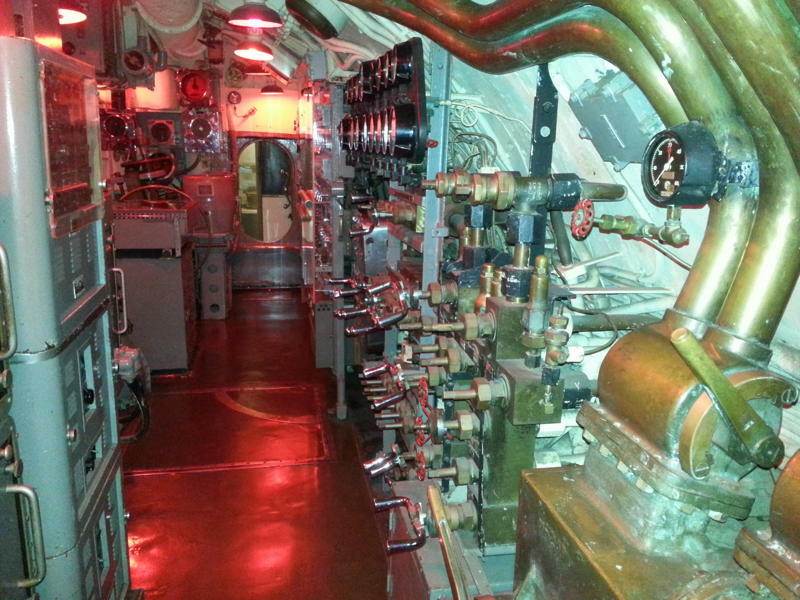 Apart from the hull and fittings cut out to make room for the tour she is pretty much as she would have been at war. 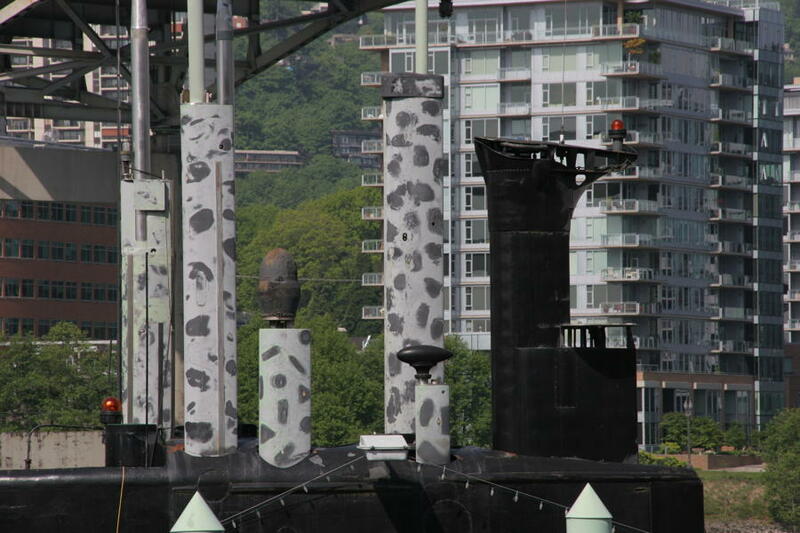 The cut-out has removed the wardroom, and the tour doesnt include the upper conning tower. The tour is quick (probably a bit too quick) but well presented, albeit rather focused on America winning the war single handed. 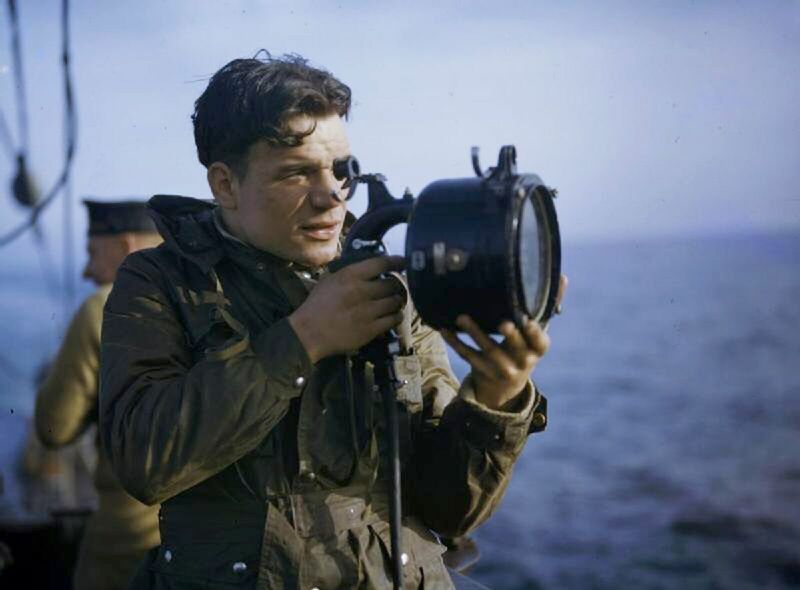 Also, rather naive as to the intelligence value of capturing a boat less than a year before the war ended. Absolutely a top boat for submarine enthusiasts. You have to buy a timed tour beforehand (I turned up at 0900 and there was only one slot left, so book ahead), and turn up at the exact minute as tours leave every eight minutes. It is not cheap! 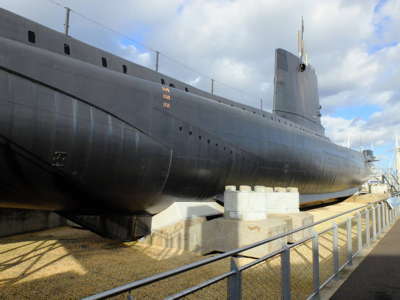 Helensburgh - X51 at the Scottish Submarine Centre (not to be confused with the Maritime Museum at Denny Tank). 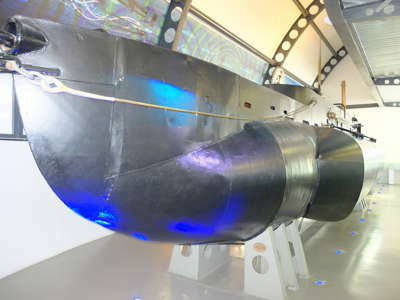 X51 is displayed suspended 2 metres off the ground, and the museum is creating a an audio visual display which will project internal views onto her hull. The Museum should open after Easter 2018. Copenhagen - Seal - a modern boat, but almost never open. We requested a visit to take some photographs for this page but the museum refused. You can book a private tour but it costs a lot. 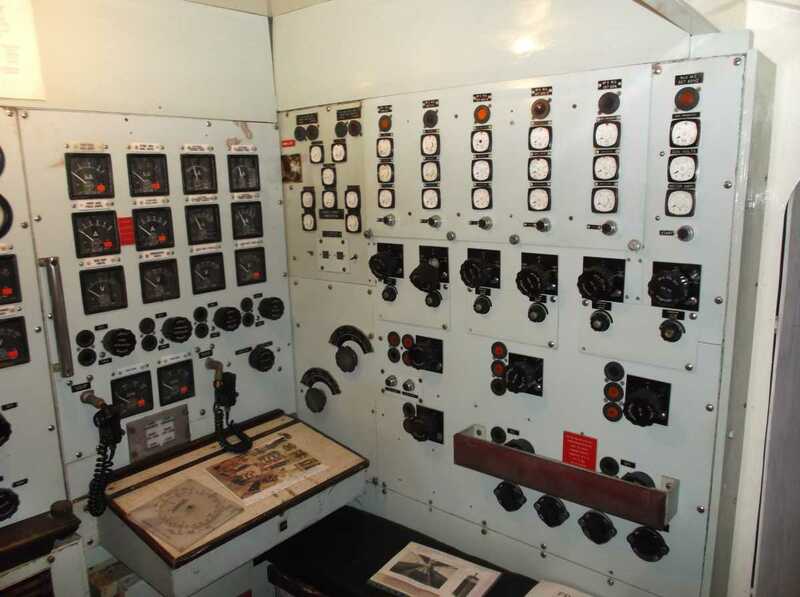 Chicago Institute of Tech - U505, captured intact in 1943, and presented indoors in pristine condition. Guided tours only, you have to buy a timed ticket in advance. This North Korean boat was captured by South Korea after running aground in 1996. John Holland was an Irish schoolteacher. Born in 1840 he emigrated to the USA in 1873. While teaching in Ireland Holland had studied the battle between the Monitor and Merrimac during the American civil war, and concluded that ironclads could best be sunk by an attack from below. 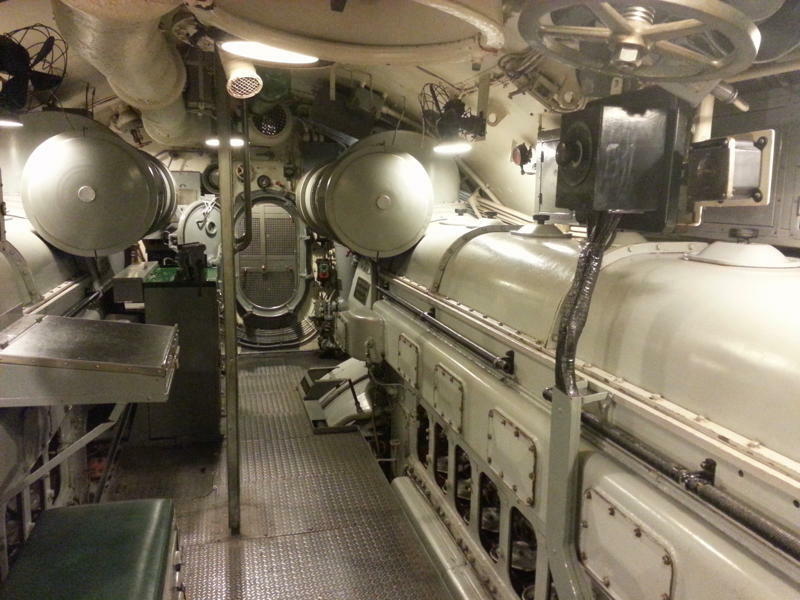 In New Jersey Holland began to design a submarine, funded by the Irish Fenian Brotherhood. 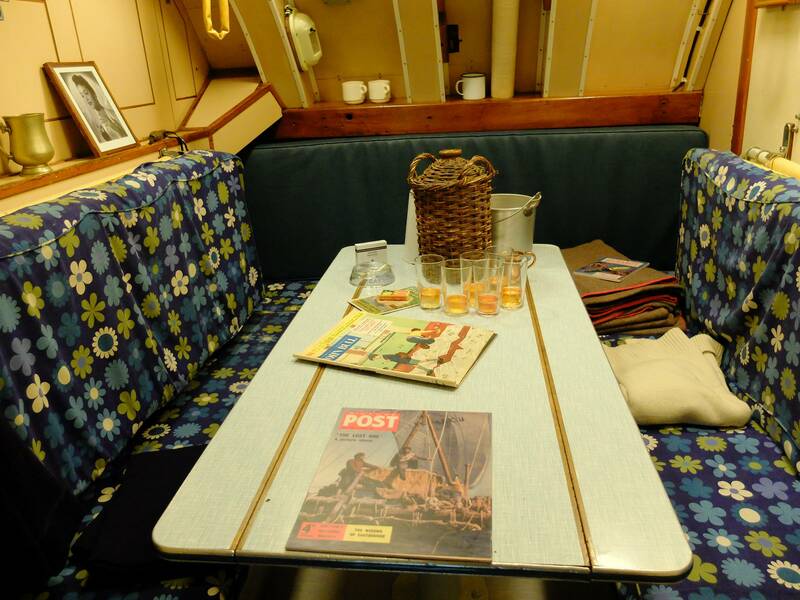 His first design was one man-operated vessel and was a 2.5 tonne boat. The brotherhood were sufficiently impresses to fund another design - nicknamed the Fenian Ram, which was launched in 1881. This displaced 19 tons. The Fenians disliked Holland's costs and took possession of the boat, but without Holland they took the project no further. This is one of the boats in Paterson NJ. Holland went on to take his design to the US Navy, and in 1893 won a design contest for a new boat run by the Navy - Plunger, 84 feet long and 12 feet in diameter with a displacement of 168 tons. Holland began a private venture at his Torpedo Boat Company (later Electric Boat), taking up his old design for the Ram. His new boat was 52 feet long with a displacement of 75 tons. 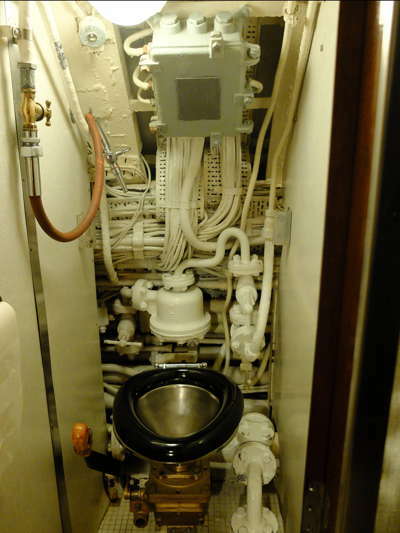 In 1900 the US Navy scrapped Plunger and commissioned USS Holland. Below: the valve gear came out of Artemis.